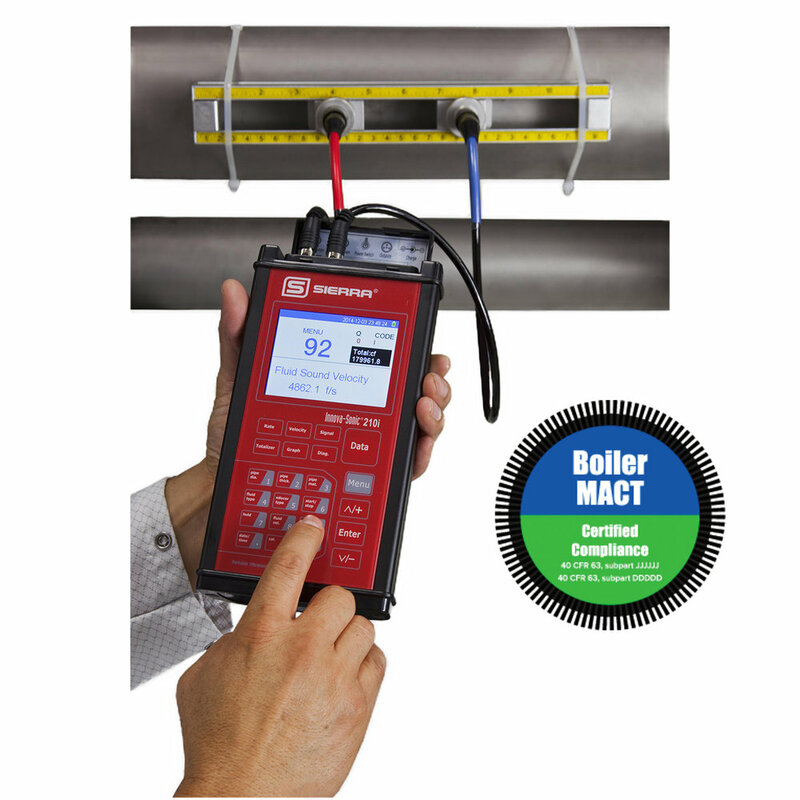 The InnovaSonic® 210i portable ultrasonic flow meter succeeds at delivering expanded functionality and field portability when a permanent installation is not required. The 210i is a complete liquid measurement kit with portable clamp-on transducers featuring a small handheld display interface with bright color display and push buttons. While principally designed for clean liquids, the 210i portable meter will operate effectively with the minimal quantity of air bubbles or suspended solids found in most industrial applications. Its high-powered ultrasonic pulse with improved digital signal processing requires just one set of transducers for a wide range of pipe sizes and materials including metal, plastic and concrete. The handheld battery powered 210i is ideal for precisely measuring a wide range of liquid flows in pipes up to 236 inches (6000 mm). Utilizing universal transit-time technology the 210i portable, hand-held flow meter measures the time it takes an ultrasonic signal to travel a known distance with the flow stream and another signal travelling against the flow stream, determining the velocity of the fluid being measured. The 210i measurement is independent of fluid conductivity to allow a wider applicability compared to magnetic meters.